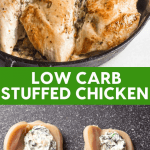 Full of creamy, cheesy, tasty goodness, this low carb stuffed chicken is packed full of green veggies with artichokes and spinach in the mix! 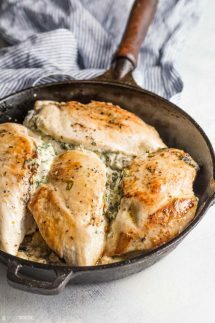 Essentially it’s made with a cup of my Spinach Artichoke Dip stuffed inside chicken breasts and baked for about half an hour. 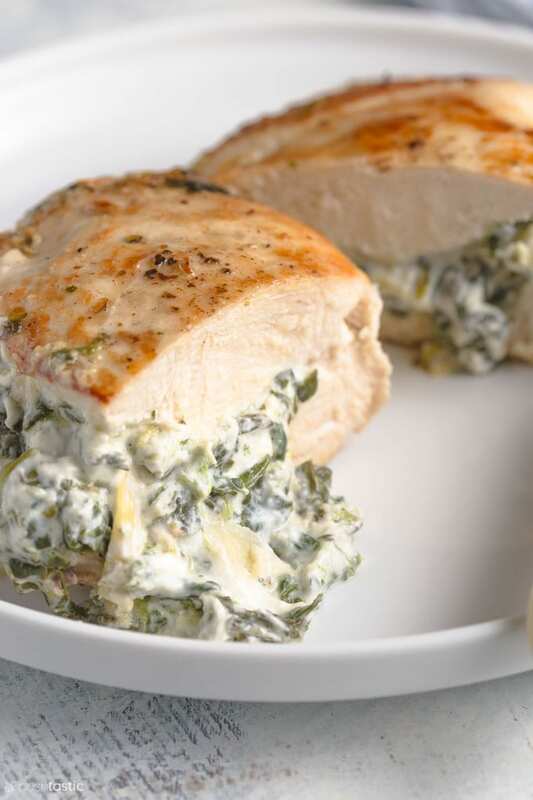 You’ll need about one quarter of the total amount of my Spinach Artichoke Dip to stuff the chicken with. The recipe makes a total of four cups of dip, but you only need around one cup for stuffing the chicken so you can cut back the amount you need accordingly. 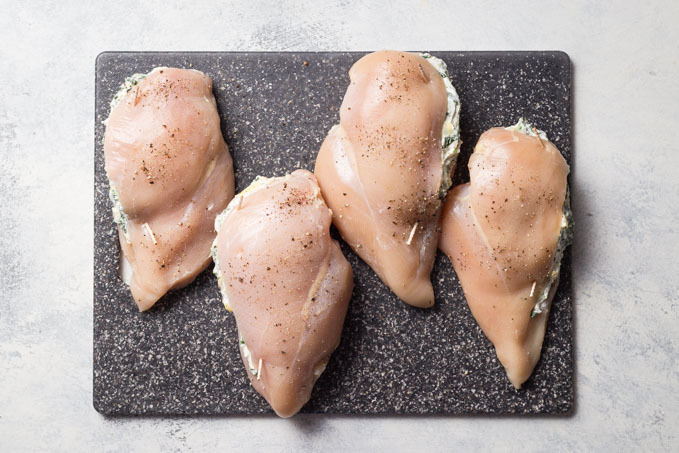 Stuff each breast with up to 1/4th of a cup of the spinach dip mixture and then secure the sides of the chicken with wooden toothpicks then season with salt and pepper. Brown the chicken on for 6 minutes per side in a hot skillet with plenty oil, and then bake in a hot oven at 375F for 20- 25 minutes or until juice of chicken is clear when center of thickest part is cut (at least 165°F). Remove toothpicks before serving. 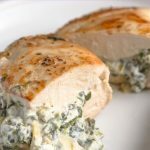 creamy, cheesy, tasty, this low carb stuffed chicken is packed full of green veggies with artichokes and spinach in the mix! 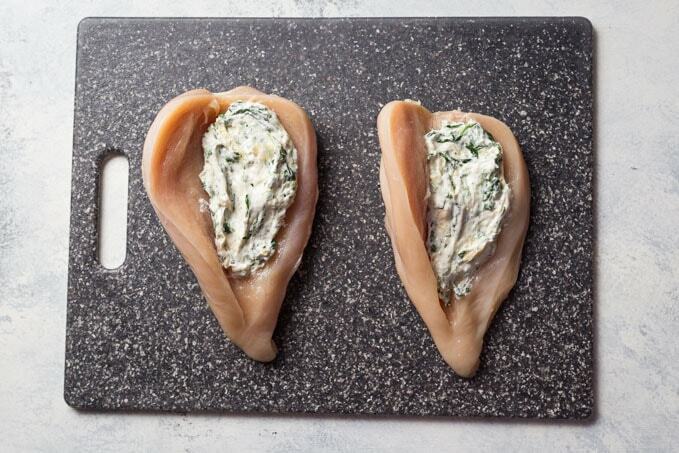 Slice the chicken breast in half (see photo in post) leaving it attached on one side so you can fold it back over. Brown the stuffed chicken breast for six minutes per side in a hot cast iron skillet with enough oil so that the chicken won't stick. 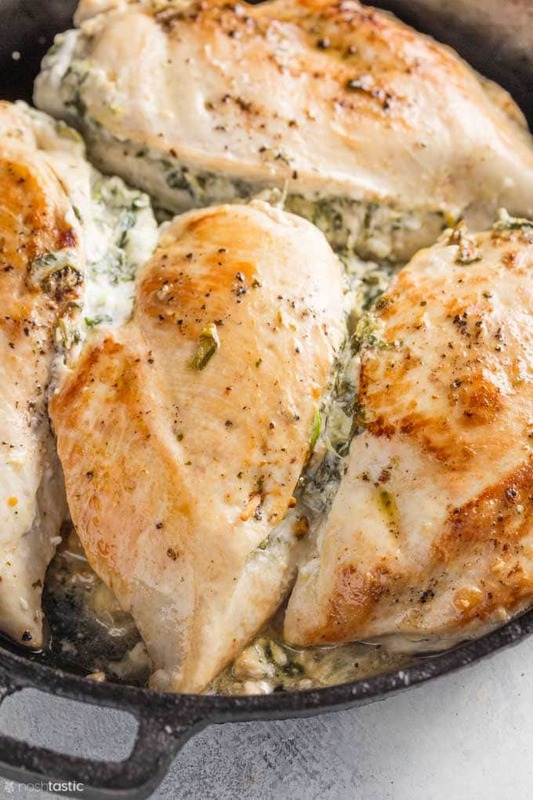 Finish cooking the spinach stuffed chicken breast in a hot oven at 375F for 20- 25 minutes or until the internal temperature of the chicken reaches 165°F. Remove toothpicks before serving.